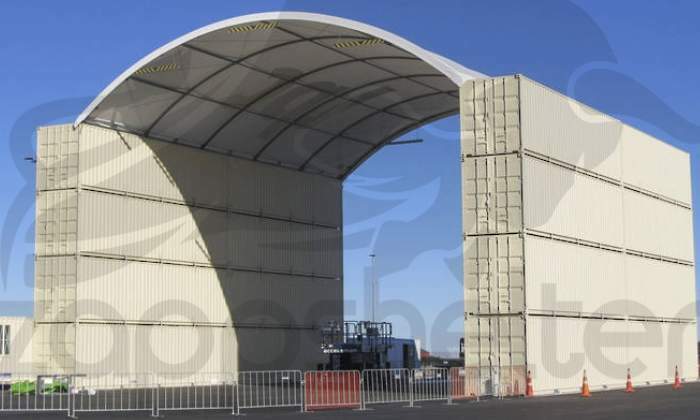 Zappshelters are flexible covered structures that protect defence-based applications from adverse environments. 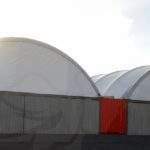 They are simple-to-install, available in an extensive range of widths, employ basic equipment, and are easily dismantled and relocated when required. 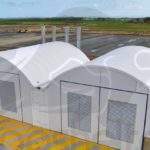 Zappshelters are an innovative solution for container storage requirements. 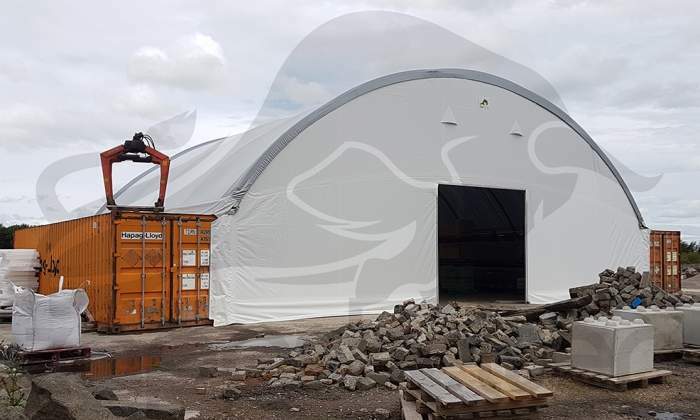 As temporary structures, they often succeed permanent structures since they do not need planning approval, and can be installed wherever containers are situated. 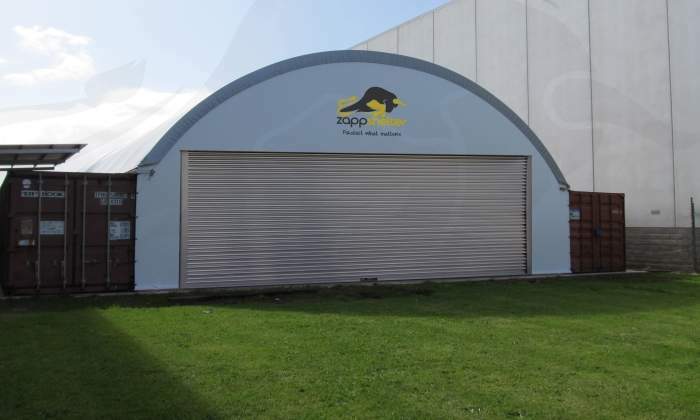 Zappshelters are ideal for a wide range of defence-based and industrial applications, including site briefing and training areas, marine repair facilities, aircraft hangars and steel fabrication areas. 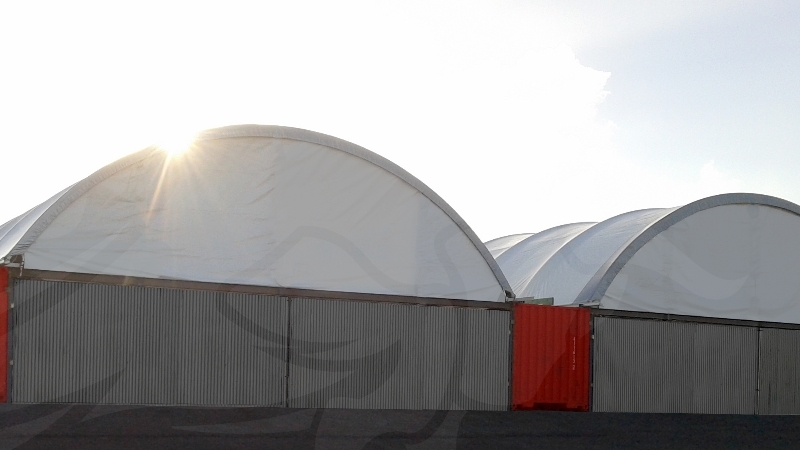 They are certified by structural engineers with an awareness of extreme climates. 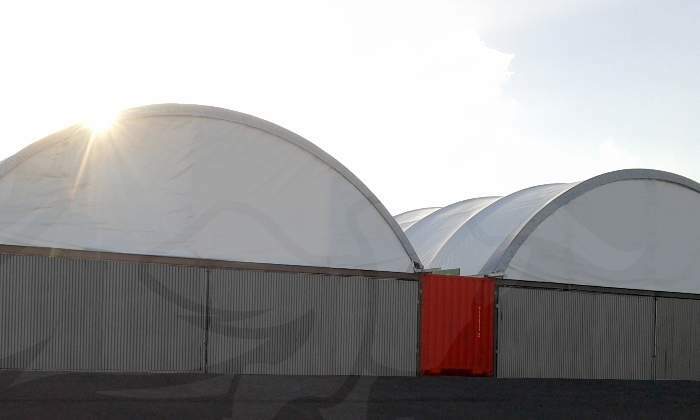 This is highlighted in the durable fabric membrane and detailed galvanised steel hoop structure, which ensures long-lasting environmental protection. 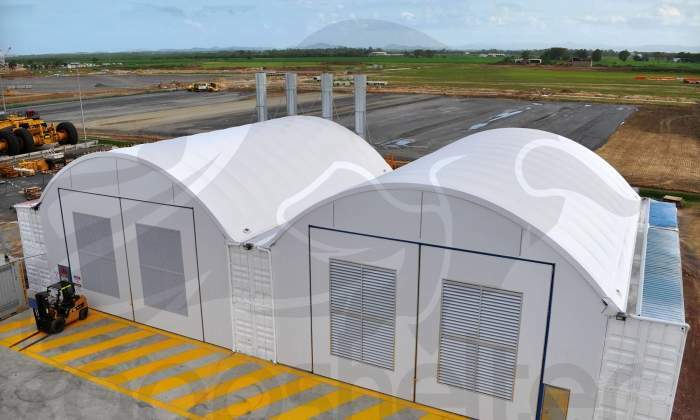 Zappshelters’ end stage is frequently in remote locations, so each component can be easily assembled. These include push-fit connections, bolted joints and weld-on container attachment rails. In addition, step-by-step instructional guides are included for complete assembling information. 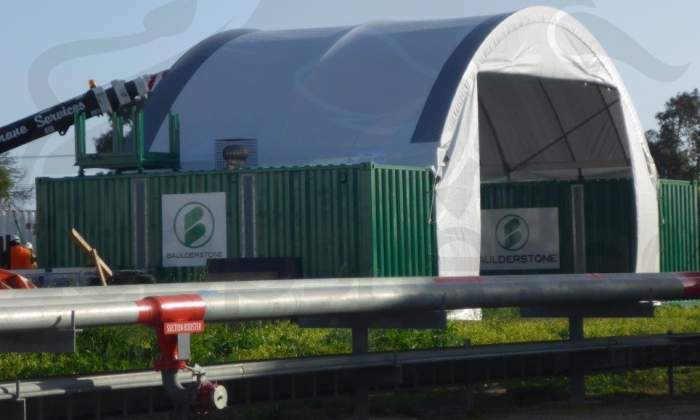 When installed, Zappshelters offer years of high-quality service, which is also extended by ensuring the cover is well-tensioned at regular intervals, along with the placing of the containers. 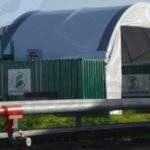 A number of Zappshelters require additional protection, particularly if they are covering sensitive equipment or materials. 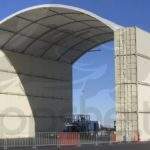 For this purpose we have developed three high-quality end wall solutions. 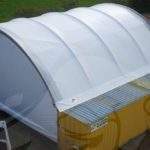 The full end wall securely encloses one end of the sheltered area for added security and protection. 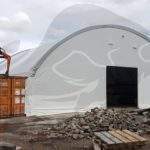 The partial end wall supplies additional protection without access restriction, by enclosing space from the top of the container to the highest dome point. 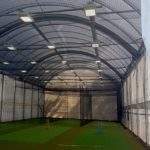 The zip-up end wall offers the same benefits of a full end wall, but is able to gain access via a heavy-duty zip opening. 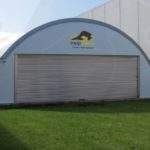 Zappshelters are compatible with either one option or a combination, and can be easily added or removed at any point. 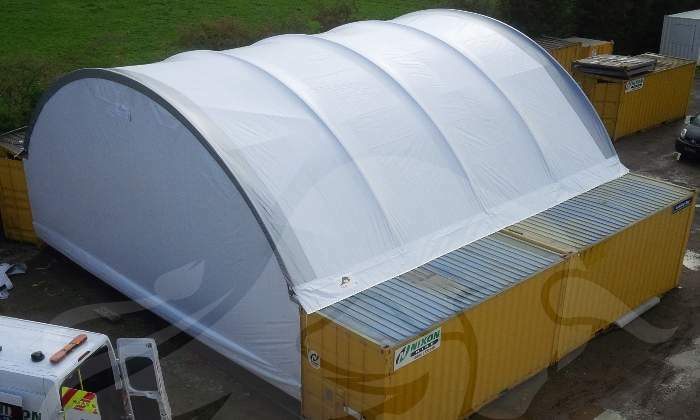 Advantages of a Zappshelter end wall include additional protection from rain and snow within exposed areas. Keeping the area dry is essential when working with sensitive equipment or materials, or applying various coatings such as lacquer or paint. 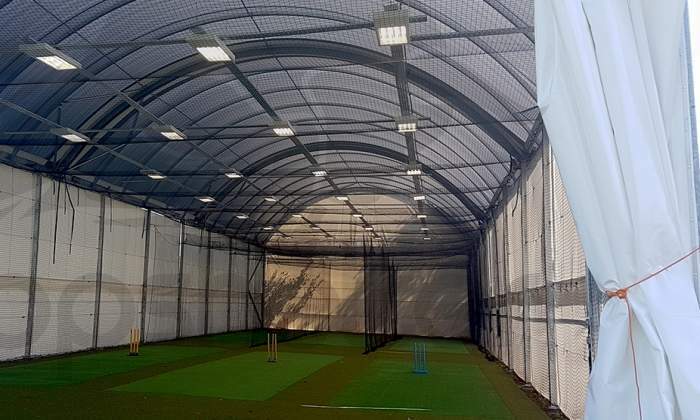 End walls also provide extra security againist risk of theft and/or damage by shielding the area’s contents from public viewing.